The second magical picture book from the author and illustrator of The Night Box. High above the bustle of the city, are eyes that watch, and hands that know, it's time to pause the clock . . . and for one tiny second between tick and tock, the city stops! Liesel notices the things that everyone else is too busy to see. When she hears a stray whimper and watches a lonely boy on a roundabout, she decides it's time to pause the clock and lend a helping hand. While the city freezes, Liesel quietly carries out little acts of kindness and breathes colour, life and happiness back into the city. 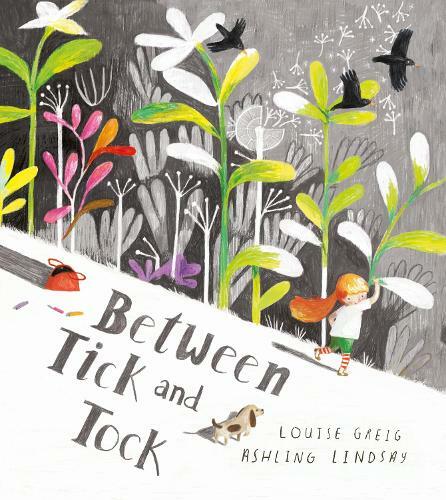 Louise Greig's lyrical storytelling highlights the magic in everyday experiences and is accompanied by Ashling Lindsay's warm, endearing illustrations. A wonderful picture book about the importance of kindness, looking out for others and taking time to appreciate the world around you. Louise and Ashling's debut picture book, The Night Box, has been nominated for the Kate Greenaway Award and shortlisted for the Waterstones Children's Book Prize, the Teach Primary Book Awards and the Klaus Flugge Prize. Louise Greig is an award-winning poet and a children's picture book author with a unique, lyrical voice. Her childhood was filled with animals, the poems of Robert Louis Stevenson and picture books by iconic children's writers such as Margaret Wise Brown, Charlotte Zolotow, Ruth Krauss, Maurice Sendak, Astrid Lindgren and Tove Jansson. Her debut picture book for Egmont, The Night Box, has been translated into 10 languages and has been nominated for the 2018 Kate Greenaway Medal and shortlisted for the Klaus Flugge Prize, the Waterstones Children's Book Prize, the Association of Illustrators (AOI) and the Teach Primary Book Awards. Louise lives in Aberdeen and when not writing is a director of a dog rescue and re-homing organisation. The wild solitude of Scotland and the beauty of nature remain strong influences in her life. Ashling Lindsay is an illustrator and animation director from Belfast. She was shortlisted for the AOI Illustration Awards two years running (2013 & 2014) and was also shortlisted for the AOI Serco prize for illustration (2015).